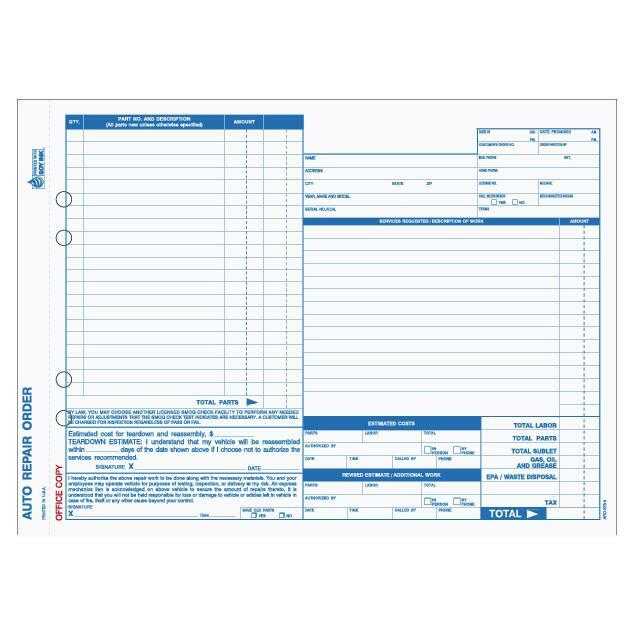 Auto Repair Invoice Forms are printed on NCR carbonless paper. 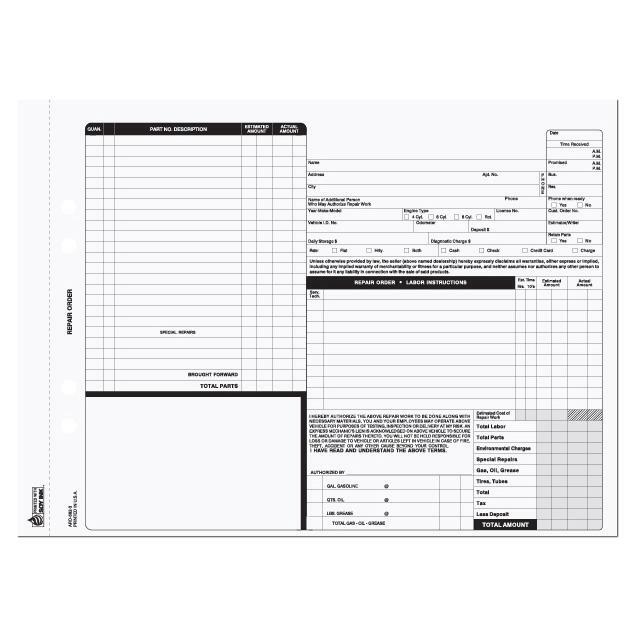 They can be constructed as a booklet with wrap around cover or as individual invoices glued at the edge. 8.5" x 11" and 5.5" x 8.5" are two of the most common sizes. 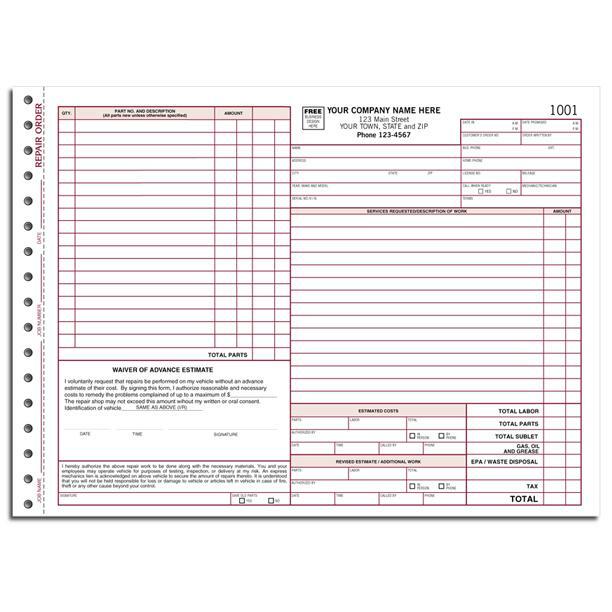 There are many other options to customize an automotive repair invoice. 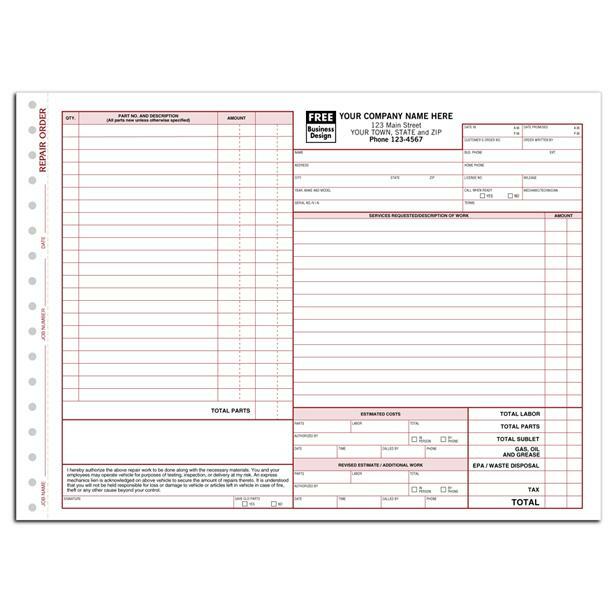 Add a logo, your company name and more. 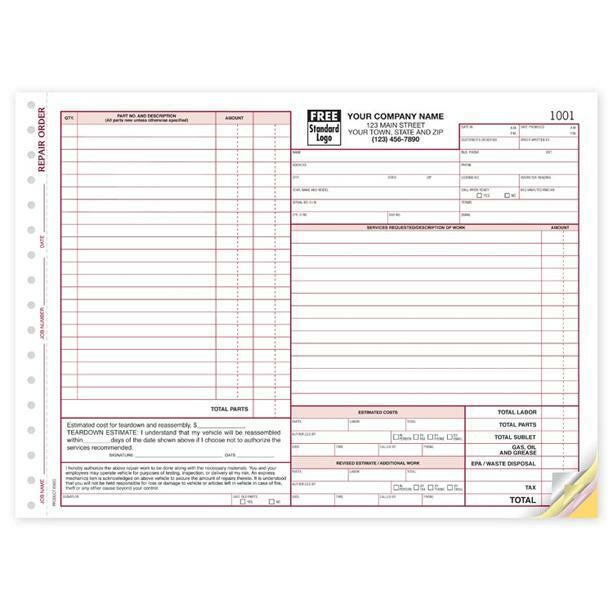 Some forms are designed specifically for a state like those for California, Florida, Texas, and Connecticut. 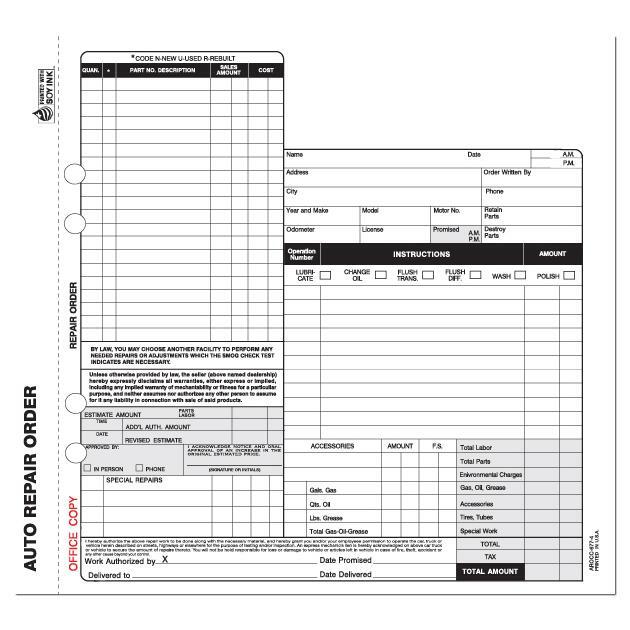 Auto shop and centers love our forms because they are easy to use. 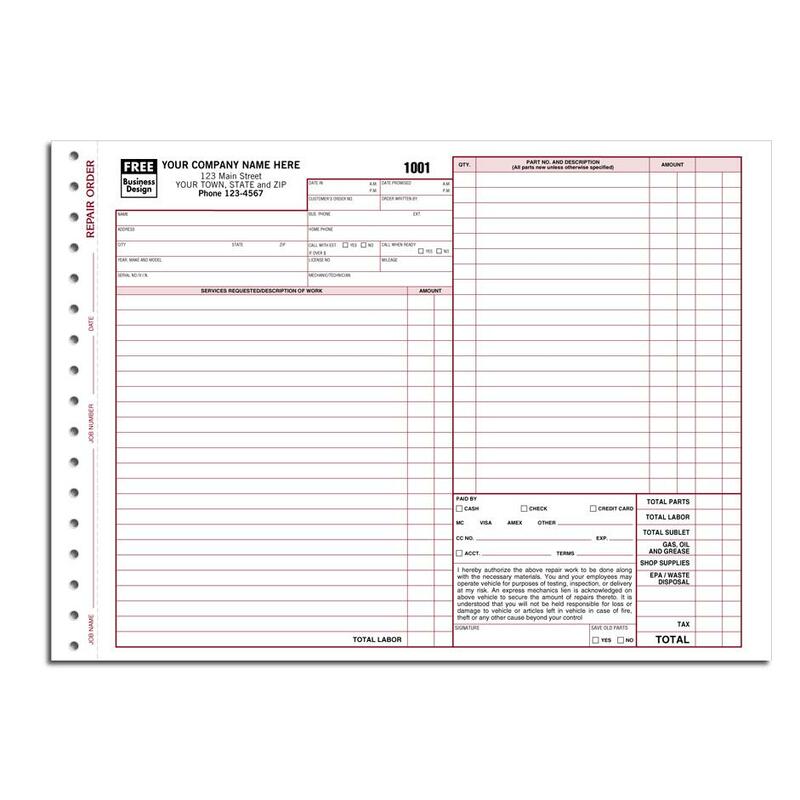 Blank invoices allow you to manually write your business information. When a customer comes into your auto repair shop to fix their vehicle, there are certain things that they are expecting to receive. Some of which includes great customer service, and invoice or work order with details about the job, for example, the cost related to the parts, labor or other materials. You could also give recommendations for maintenance on things like oil change, wheel alignment, AC service, brakes, electrical services or upholstery. When the job is completed, the customer expects to get a signed or stamped copy of the receipt before they leave your garage. Hopefully, the auto mechanic would have done a great job so that you may have a repeat customer. 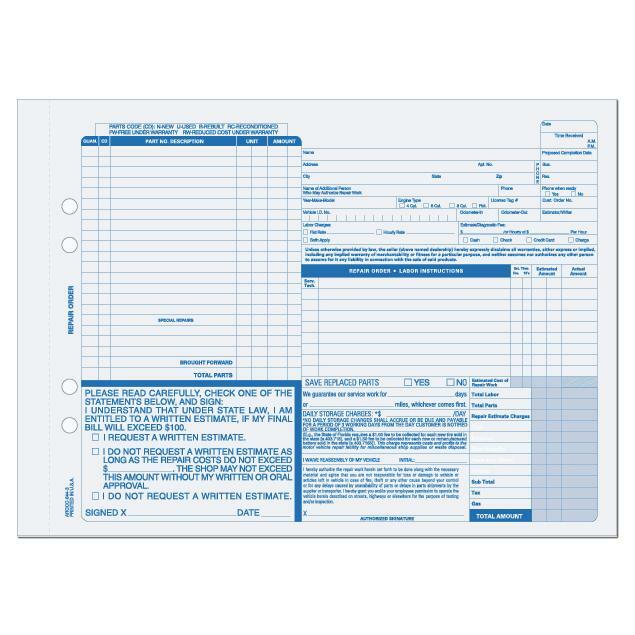 The auto repair invoice allows you list the date of the job, the customer’s contact information, details about the motor vehicle being worked on, a description of the work being performed, materials name and cost etc. 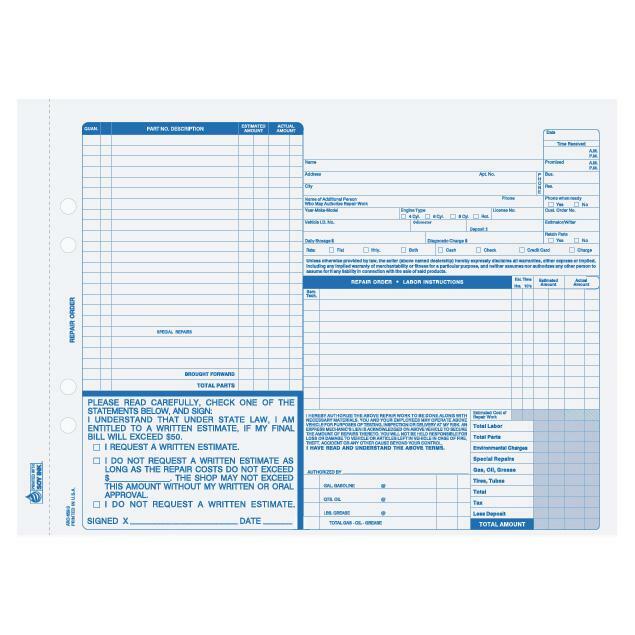 There are the pre-printed description areas for you to list the quantity and cost of material, accessories, and checkbox options for lube, oil change, tune-up, tire, etc. 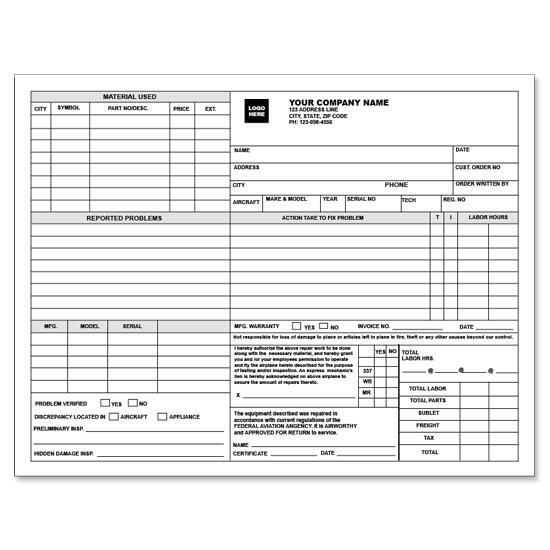 We offer a wide range of carbonless or carbon copy forms that can be used in your auto repair business. 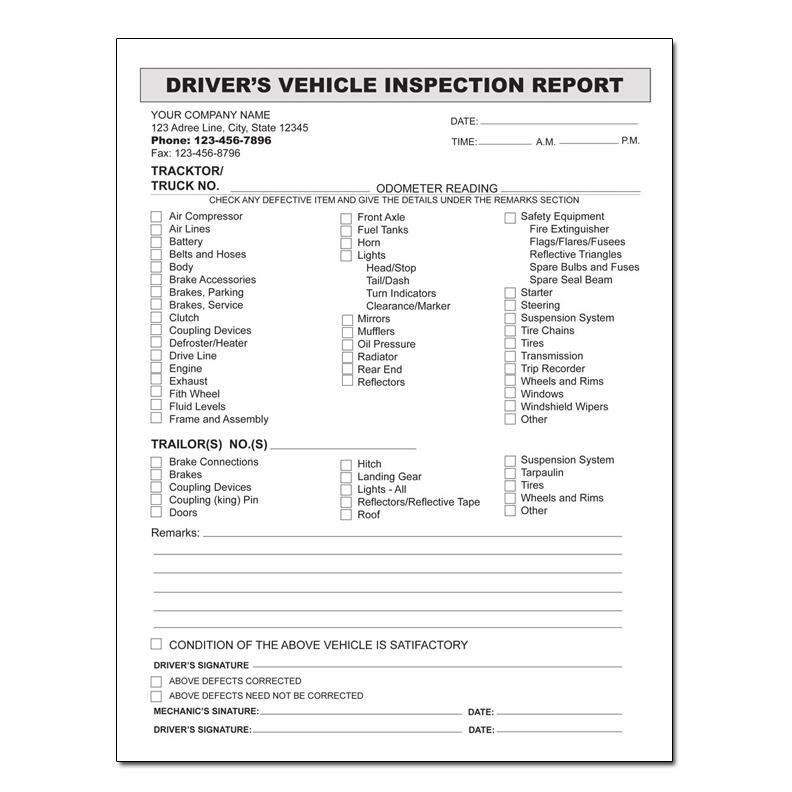 These include work orders, inspection reports, invoices, transmission repair invoice, job folders and more. 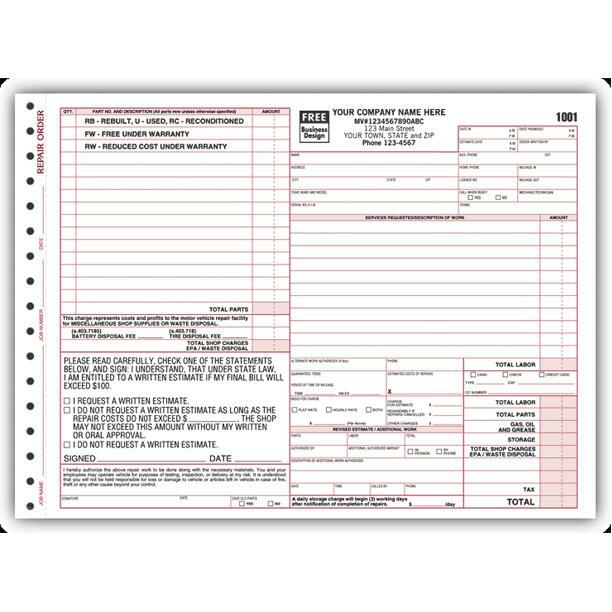 DesignsnPrint is your main source for auto repair invoices online. We offer a wide range of forms for the auto repair mechanic, no matter what’s the service or location. 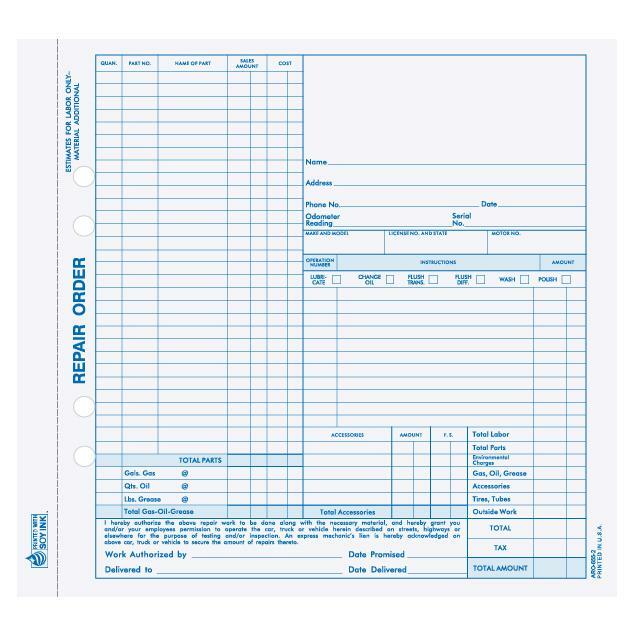 Select one of our pre-printed templates or upload your own customized design. 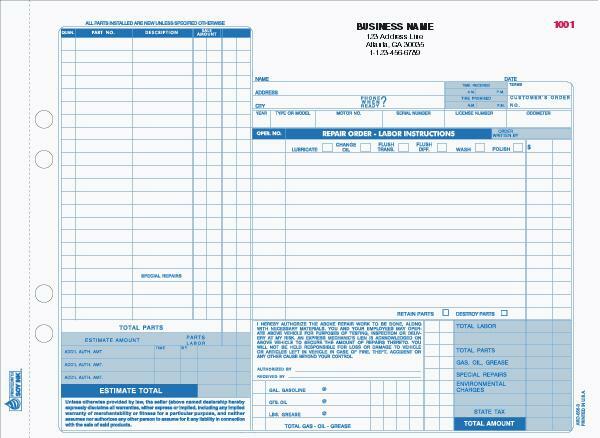 Note, our professional graphic designers can also help you create a form from scratch. Once you select the relevant form, input your business information like your business name, address, telephone number, website and more. 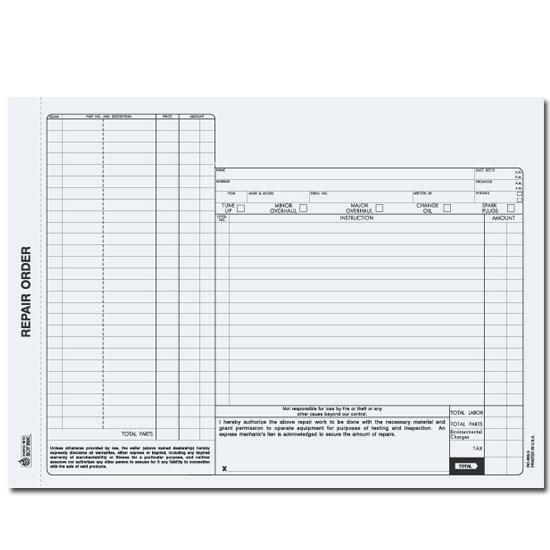 Then select the number of parts, quantity, ink color, and whether you want the invoice to be consecutively numbered. We will send you a proof for your approval via email to ensure 100% accuracy. If you have a form that you used previously or a sample of another form that you would like to copy, we can help you recreate a new design. Order online, by phone or email.